EUROPE: WindEurope CEO has Giles Dickson called on the German government to side with the new governments of Italy and Spain and back MEPs' demands for high renewable energy and efficiency targets. Speaking at an event organised in Berlin by the European Energy Exchange, WindEurope CEO Dickson said Germany is pivotal in negotiations currently taking place in Brussels. 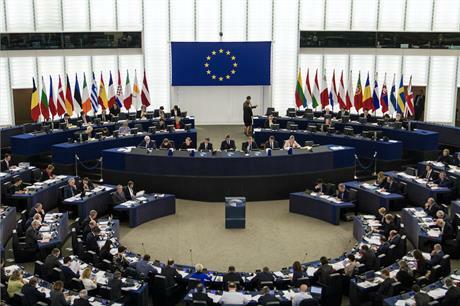 The European Parliament has backed a 2030 renewable energy target of 35%, while the EU Council offered to back a target of 30-31% or 32-33%, depending on the degree to which parliamentary negotiators are prepared to cave in to those demands. In a move that could change the dynamics of a debate over how Europe should meet its COP23 commitments, Spain’s incoming minister for ecological transition, Teresa Ribera, declared that she supported 35% targets for both renewable energy use and efficiency gains by 2030. Italy has also backed the 35% targets, climate and energy commissioner Miguel Arias Cañete told reporters over lunch following closed discussions at an EU Council summit in Luxembourg. "There were six member states who supported the position of the parliament: Sweden, Lithuania, Luxembourg, Portugal – for renewables – Italy and Spain," he said. Ribera added: "We cannot accept goals which fall far below what we need to reach our overarching objectives under the Paris agreement." France has also favoured the European Parliament’s targets, but was prepared to compromise at "around" 33% for renewables and 32% for energy efficiency, state secretary Brune Poirson said during the debate. However, the public debate saw Germany – which had earlier declared support for increased ambition – signal it wanted to stick to the 30% targets agreed by ministers before the start of negotiations with the parliament. Arguing that Germany had invested more than any other country in renewable power over the past decade, energy minister Peter Altmaier said a 30%-plus target would mean more than doubling the current level of deployment in a decade. "We need a compromise that prevents us having an unachievable target," Altmaier said. "Citizens across Europe are losing faith in politics." WindEurope CEO Dickson, however, urged Germany to try to secure a positive outcome on the 2030 renewable energy target. He also urged Angela Merkel’s country to implement a "fit-for-purpose" Guarantees of Origin system capable of facilitating corporate power purchase agreements (PPAs) for clean energy. Meanwhile, a number of countries – including the Netherlands, Denmark, Finland and Ireland – signalled a willingness to meet the parliament mid-way during the next, and supposedly last, round of inter-institutional negotiations on Wednesday (13 June). In all cases, compromise would come in exchange for MEPs showing "flexibility" on issues such as the target for the transport sector, biofuels, and the right of citizens to generate and consumer their own electricity freely. At the other end of the scale were the Visegrad Four countries – Poland, Hungary, the Czech Republic and Slovakia – who were joined by Slovenia, Croatia and Belgium in countenancing no further concessions to MEPs on the headline targets. However, with those countries appearing to lack a blocking minority, the WWP spoke f a "new positive dynamic" towards higher targets, although it warned this could be undermined by the degree of flexibility granted to governments over implementation. Commenting on the debate, the Greens/EFA group MEP Claude Turmes described Altmaier’s statement as "pathetic" and saw Berlin’s stance as key to setting the EU’s future climate policy. He tweeted: "What will happen now behind closed doors? Will Germany team up with [the] pro-coal Visegrad Four, or with front runners?" Ministers also discussed the Governance Regulation and agreed a joint position on the final file in the Commission’s ‘clean energy package’, a proposal to strengthen the powers of the Ljubljana-based EU energy regulator ACER. A version of this article originally appeared on 12 June on Ends Europe.